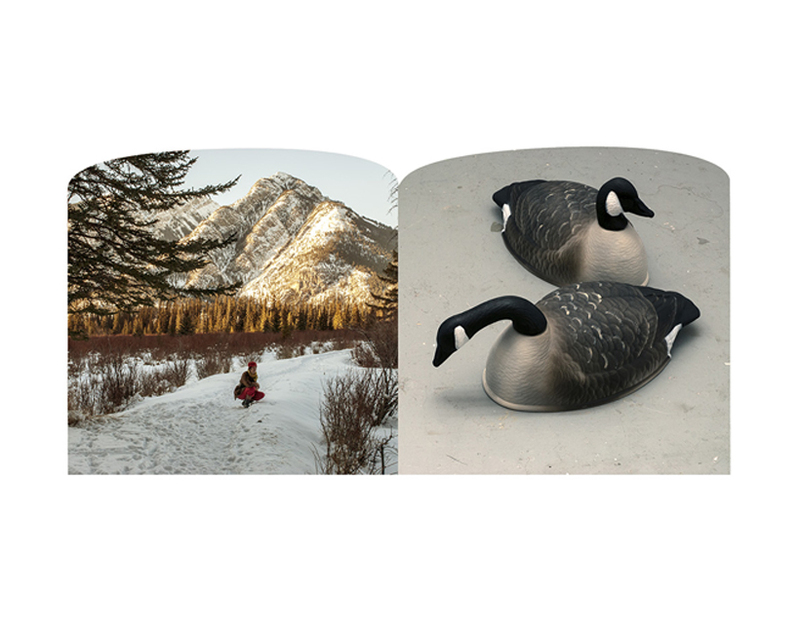 The series of images engages with iconic imagery of the Canadian winter landscape. The work is intended to draw the viewer into a playful consideration of the landscape as it pertains to more complex ideas about tourism, the environment, national identity and ‘wilderness’. The body of work is based on the archive of William Notman. Notman created composite winter scenes as well as some of the earliest landscape photographs and stereoscopic views of eastern and western Canada. Crane choses to photograph the winter landscape as way to renarrate the work of the photographer William Notman and also consider a shifting view of northern landscapes as simultaneously romantic and foreboding. The winter landscape conjures both the sublime and a sense of sadness for loss due to climate change. Jennifer Crane is a Canadian artist based in Saskatoon whose work investigates the relationship between the body and the lens in both historical and contemporary photography. Her recent work explores themes of memory, narrative and archival practices through a fusion of historical, analogue and digital photographic techniques. Since 1998, Crane has been exhibited her work in both solo and group exhibitions in galleries across Canada. She has also exhibited her work in group exhibitions in the United States, China, Colombia and Eastern Europe. She has received grants from The Canada Council for the Arts and The Canadian Foundation for Innovation. Crane been teaching photography in the Department of Art and Art History at The University of Saskatchewan since 2005.